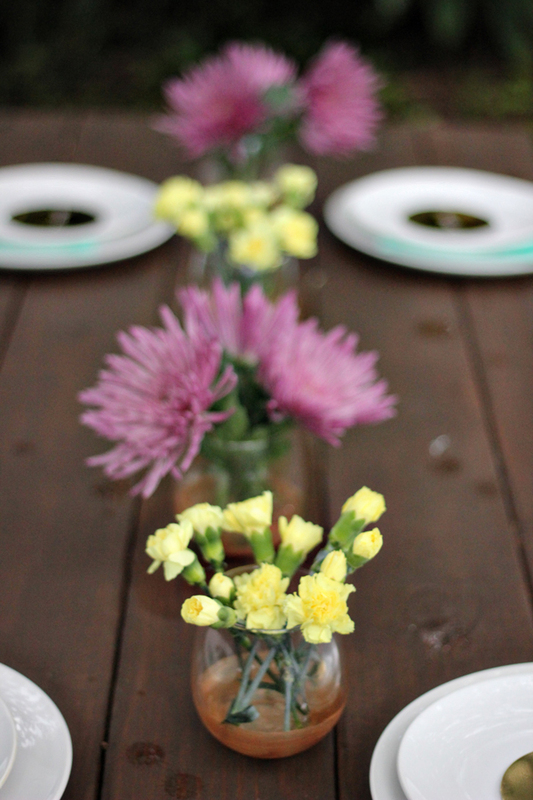 This DIY gold vase was the vessel that held flowers in yesterday’s table-scape. I wanted to show you how to simply update glass tumblers by painted the bottoms with gold paint. I used a rose gold hue, because I’m just in love with anything coppery. 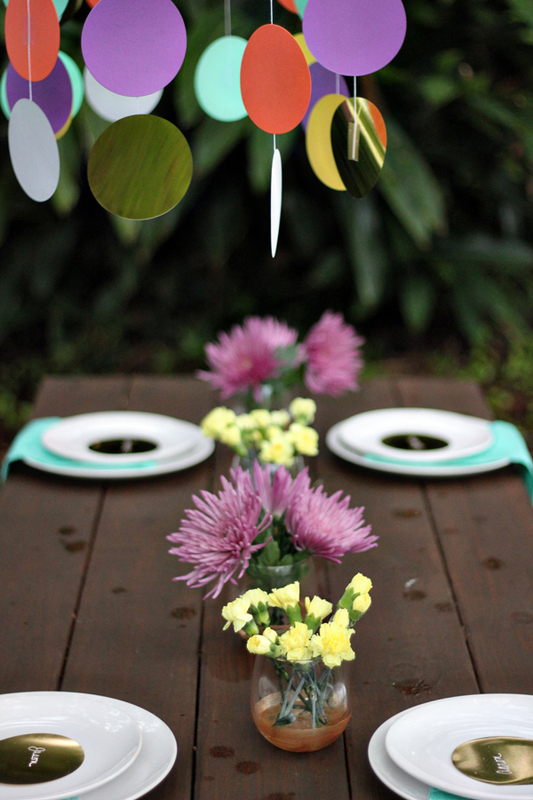 This is a great alternative to bud vases! The glassware was purchased from Joann’s ( shhhh…. they are actually stemless wine glasses ). When I hit the store for DIY supplies I make sure items can have more than one purpose. 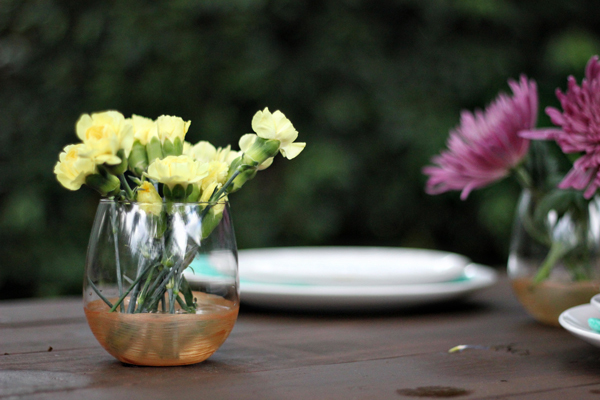 These glass tumblers can act as a bud vase or a wine glass. Can’t you see a nice crisp sauvignon blanc being served in those! 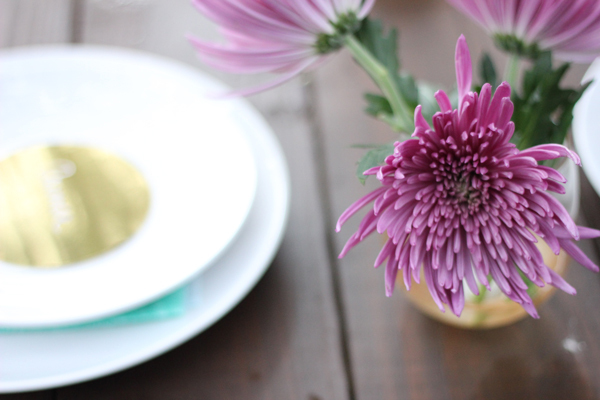 The post DIY gold vase appeared first on The Flair Exchange®.